This and every Wednesday & Sunday NIGHT 08:30pm!! 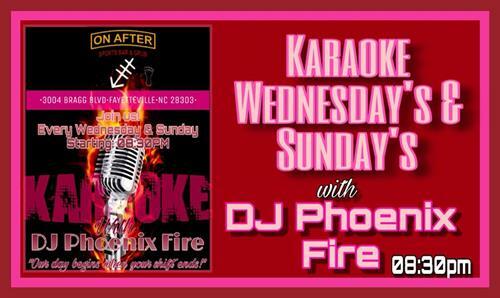 Bring some friend or make news, and enjoy a little karaoke with DJ PHOENIX FIRE! !